You want more than just a glasses-free 3D racing experience? 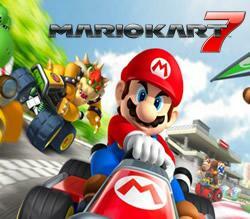 Then Mario Kart 7 is just right for you! This game also delivers frenetic racing fun by air, land and sea. Avid aficionados of the franchise will come upon new features and customization options, while novices will love racing with their favorite Mushroom Kingdom characters against opponents near and far. 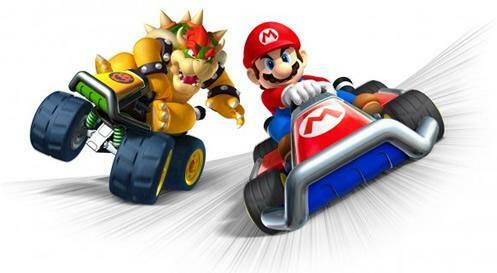 Multiplayer racing is at the heart of Mario Kart. Players can race against their own friends or even against opponents worldwide by using a broadband Internet connection or local wireless built into the Nintendo 3DS. Creating groups with other Mario Kart fans is the latest features that the new Community offers to the players while setting up specific rules to make customized racing environments. With its easy setup, players can quickly create a community and share with others via the StreetPass feature. Using either the Circle Pad layout or the motion-sensitive gyro controls of the system to maneuver their karts, solo players can race all the way through the Grand Prix and Time Trial modes. A never before seen feature in Mario Kart franchise will experienced here, the gyro controls allows players to control their karts in a first-person perspective also, community leader boards will show the most up-to-date information from recent races. StreetPass and SpotPass features built into the Nintendo 3DS system will also be used by Mario Kart 7.With StreetPass enabled, players in real life that walks by other Mario Kart 7 players allows gamers to exchange racing scores, , number of collected coins, win/loss records and other game data. While with SpotPass enabled, players will be able to receive ghost data to race against each player. You can download up to seven ghosts at the same time; this allows everyone for a full eight-player race. Furthermore, through StreetPass and SpotPass, a Mario Kart channel will be a central location for players to view collected information. New twists and turns are introduced in iteration of the Mario Kart series and this newest Mario Kart game is no difference. New playable characters will include Lakitu, the spectacled cloud-riding Koopa and Metal Mario from the Super Mario 64 game. Players can also choose to race as their own Mii characters. New power-ups include the Fire Flower, this let the players throw blazing balls of fire and other drivers and Super Leaf, this makes the Tanooki Tail appear on the back of karts to knock out of the way other drivers and items. And, of course, the karts come equipped with gliders for maneuvering through the air and propellers for underwater propulsion. Eight new courses are introduced in The Mushroom Cup and Flower Cup, including ones on Wuhu Island and one created by Retro Studios set in the jungles from the Donkey Kong Country Returns game. Whilst Eight classic courses are featured by The Shell Cup and Banana Cup, including Luigi's Mansion from the Nintendo DS and Koopa Beach from the Nintendo 64. In totality,16 new courses and 16 classic courses will be there. 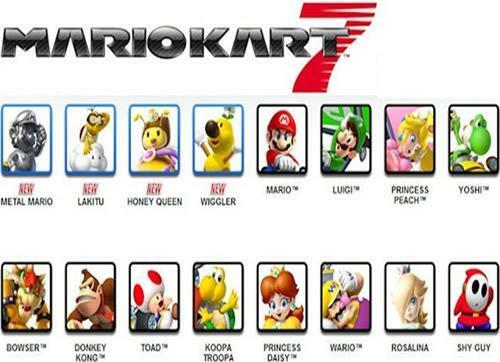 The official trailer for Mario Kart 7 from November 2011. Mario Kart 7 - a behind the scenes video showing the creation of "real" Mario Kart 7 karts with Reggie Fils-Aime, COO and President of Nintendo and production of the vehicles by West Coast Customs.